When it comes to great buildings of the world they don’t come much greater than the Taj Mahal. 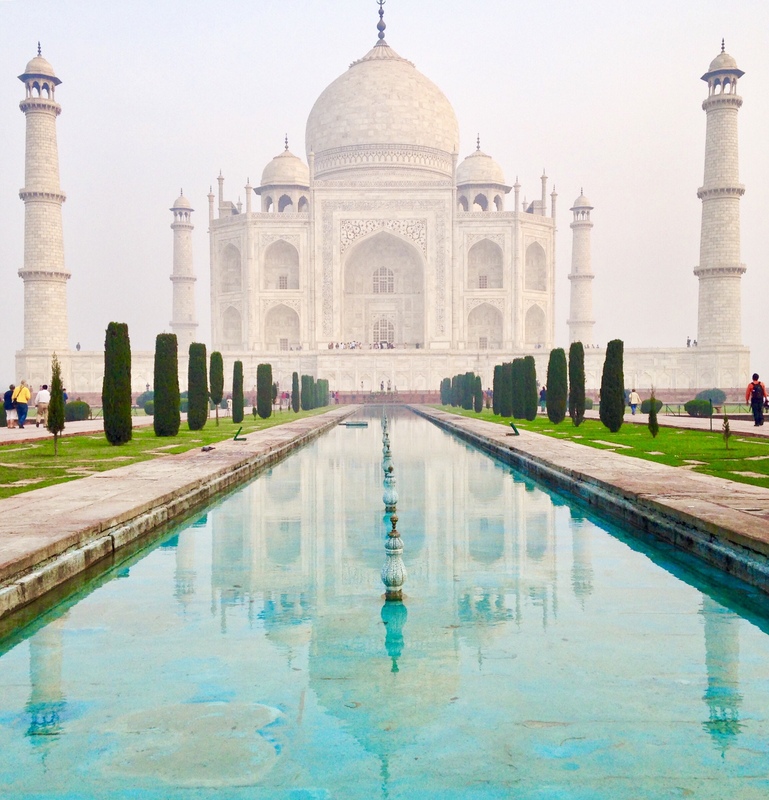 Located on the banks of the Yamuna River in the Indian city of Agra, the majestic ivory mausoleum is arguably one of the world’s most impressive buildings. Built in the 1600s at the request of Mughal Emperor, Shah Jahan, to house the tomb of his most favourite wife Mumtaz Mahal, the Taj Mahal is truely an epic monument of love. The building in now recognised as a UNESCO World Heritage Site and is one of the new World Wonders. The incredible structure is crafted from marble and took over 20 years and thousands of workers to build, and is a triumph of exquisitely intricate detailing, stone carvings and calligraphy of pure gold. The focal point of the interior is the Mahal Tomb which houses two exquisitely detailed cenotaphs representing Shah Jahan and Mumtaz Mahal which are inlaid with semi-precious stones. The Taj Mahal is set within 17 hectares of grounds which include beautiful formal gardens to explore. We recommend taking the time to wander through the gardens and also stop for a photo on the seat made famous by Princess Diana in the early 1990s. While there is no bad time to see the Taj Mahal, if you can arrive just before sunrise you will have the opportunity to witness the beautiful changing colours of the building as the sun rises. If you are not an early riser, timing your visit when there is a full moon is another great idea, the building is open for moonlight evening viewings for two days before and after the full moon. The Taj Mahal is closed on Fridays for prayer so make sure you don’t plan a Friday visit. Note also that it is very crowded at most times of the day, your best bet for a quieter visit is very early in the morning. Tourists may also get a lot of requests for photos by locals, particularly if you are fair-haired, so be prepared beforehand. As always, when travelling we recommend travel insurance in case the unexpected happens. For more information on the beautiful building including opening hours and entry costs visit here. Want to see more great buildings of the world? Click here for the beautiful New York Public Library and here for The Alhambra in Spain. Love your title and how you open us up to the world of food, life and travel through your writing. Beautiful Pictures and what an escape in this post.